Matt Suess is an award-winning photographer whose interest in photography began early in childhood and by the age of 12 had his own chemical photo darkroom. His professional photography career started 8 years later in 1990. For the next 17 years Matt was a photojournalist based in New England. In 2003 Matt was awarded the New England Press Association’s Photographer of the Year Award. Published worldwide, some of his credits include: The Associated Press, Boston Herald, Connecticut Post, Cape Cod Times, Cape Cod View Magazine, National Geographic Traveler Magazine, New Haven Register, Sojourns Travel Magazine, and USA Today to name just a few. Matt is a digital photography pioneer, helping bring the first digital cameras to the Connecticut Post Newspaper in the late 1990′s. In addition he assisted with the implementation and training of the photo staff in the use of digital cameras and equipment at the Cape Cod Times Newspaper in the late 1990′s and early 2000′s. In 2003 while still a photojournalist Matt starting selling his landscape photography at juried fine art festivals. In 2006 when he moved west to Arizona, he left his career as a photojournalist behind and has since been a full-time fine art photographer & workshop teacher. Matt is now currently based in Scottsdale, AZ for 4 months and Bozeman, MT the rest of the year. His fine art landscape photography is known for his use of bright colors & contrast with an impeccable detail to quality. Breathtaking panoramas as large as 12 feet in width has become his forte, and his work can be found in the homes & businesses of collectors worldwide. 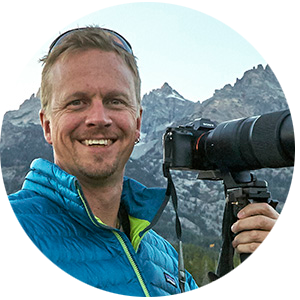 Matt also takes great pride in sharing his knowledge & love of photography with his students. He offers a number of classroom & field workshops in addition to one-on-one study both in person and online. Find out more about Matt's workshops and online training here. He is sponsored by Skylum Software and is a Formatt Hitech Filters Ambassador.